— soaking in the Southern California sunshine! In the past decade Bohem has been much less active than before. Only a couple of litters have been bred and mostly only specialty shows attended. We are very grateful to other breeders who let us have some quality dogs that partly descend from the "old" Bohem lines. 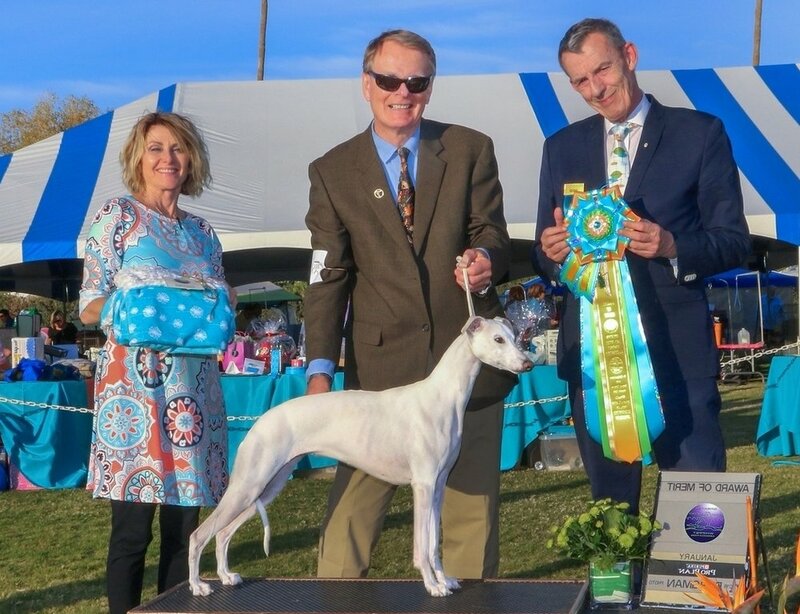 These dogs have done extremely well both in conformation and lure coursing – the latter entirely thanks to the enthusiasm of a few talented co-owners. A homebred litter in 2018, sired by our handsome English import UK & Am. Ch. Palmik Strike It Right, JW out of the lovely GCh. Snow Hill Beyond Blonde at Bohem, both pictured on this page, should if all goes well guarantee that the Bohem name will be represented at future events as well. Both parents have Cardiac, Eye and BAER normal. The inbreeding coefficient is exceptionally low at 0.17% in a seven-generations pedigree, which we hope will ensure that the puppies will be healthy. If they are handsome and do well at the shows, so much the better! "Rosa" had a brilliant early career, with several Group wins and Res. BIS when it was interrupted as she contracted cancer. Under the loving care of her owner Rosa is now doing well but will not be shown again or bred from. Kylie descends from old Bohem blood fairly far back on both sides of her pedigree, but most of her ancestry represents the work of her breeder Dr. Susanne Hughes. Kylie won specialty BOW as a youngster, BOB during a specialty weekend and two Speclalty Selects as a two-year-old although seldom shown. We have great hopes for her Bohem litter in 2018. Not breeding from Dazzle was a big mistake: she would have been a wonderful mother but was spayed before she had an opportunity to demonstrate her talents. 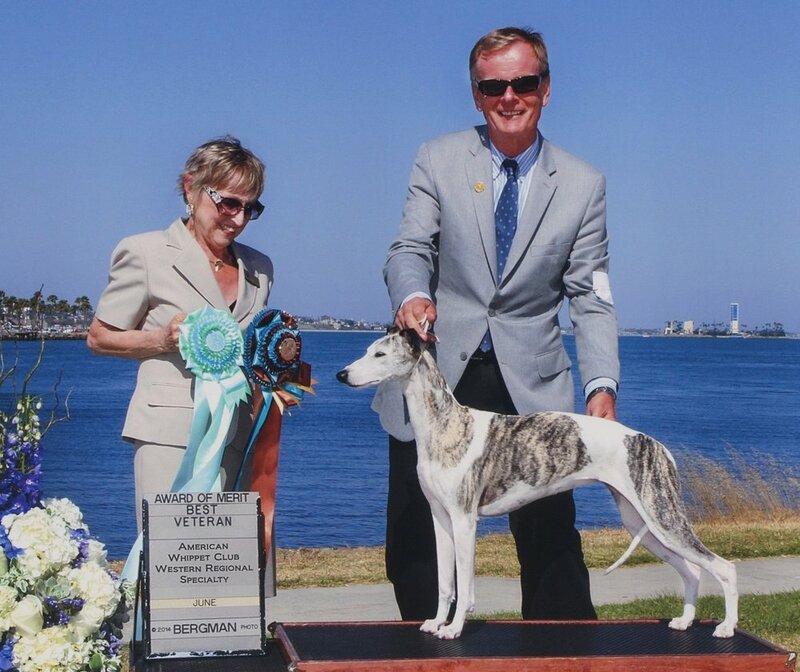 In her day, Dazzle won some Breeds and Group placements, and even as a veteran she has done extremely well.